Democrats plan to request recounts as early as next week in at least three Virginia House of Delegates races, including one that has already been the subject of legal wrangling. ALEXANDRIA, Va. — Democrats plan to request recounts as early as next week in at least three Virginia House of Delegates races, including one that has already been the subject of legal wrangling. In the 28th District, covering parts of Stafford and Fredericksburg, Republican Bob Thomas leads Democrat Joshua Cole by 82 votes in the results set to be certified by the State Board of Elections on Monday. A Cole campaign lawsuit aiming to get 55 absentee ballots counted in Stafford County that arrived after the required legal deadline was thwarted Friday. “The continuation of this is making sure that every vote counts, be that a recount [or] be that continued legal action,” Cole’s campaign manager Eric Sundberg said after the lawsuit was rejected. Candidates who lost by less than 1 percent of votes cast have 10 days after the election is certified to request a recount. The process is governed by a panel of three judges including the chief judge of the local circuit court. “The court will then kind of set the parameters for how’s the recount going to happen, what’s the timeline for it, and it’ll move forward,” said Edgardo Cortés, Virginia Department of Elections Commissioner. When the margin is less than 0.5 percent, as it is in all three pending House races and Stafford’s Garrisonville District supervisor’s race, the local jurisdictions — rather than the campaigns — cover the recount costs. “There are still outstanding issues in Fredericksburg as well … Any good system should be open to criticism,” Sundberg said. Like initial claims regarding the 55 absentee ballots that will not be counted, House Democratic Caucus claims about hundreds of voters getting incorrect ballots in Fredericksburg appear to be mistaken. There is a smaller group of reports that a handful of voters may have truly gotten incorrect ballots, including one married couple who told local Democratic officials each of their ballots showed different house races despite the fact that the couple lives together in the same home. In a statement, House Democratic Caucus attorney Marc Elias said he was disappointed the 55 absentee ballots that arrived after the deadline will not be counted, and he said the caucus is assessing its options to move forward with additional challenges to those ballots or any incorrect ballots in Fredericksburg. “It will be making sure that every citizen is provided the apology they deserve for either not having their vote counted, for having their vote delivered late if it really was a clerical error,” Sundberg said. After results are certified Monday, a recount would only deal with ballots that were already considered. In past recounts, changes to certified results have often been the result of voters marking ballots in ways the ballot readers may not have initially recognized. 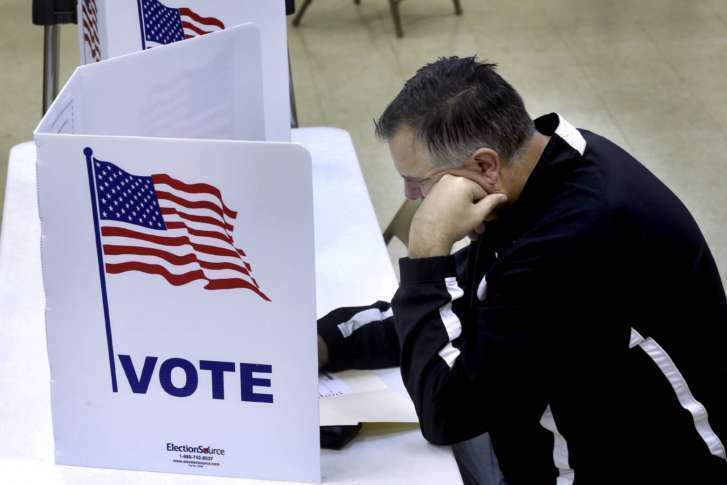 In Newport News, the 94th House District race has just a 10-vote margin. In Fairfax and Prince William counties, Del. Tim Hugo leads by 106 votes. If recounts do not change any results, Republicans would maintain control of the House of Delegates 51-49. A governor’s race that began amicably and turned hostile drew eyes from all around the nation. 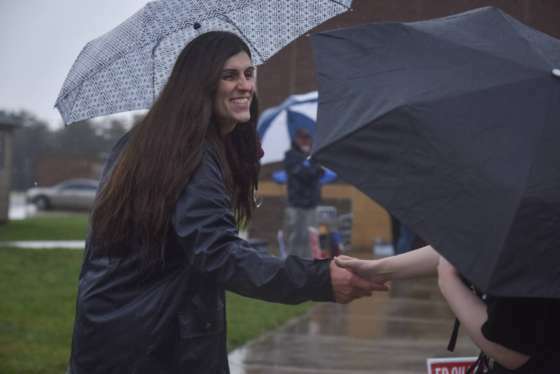 See Election Day photos from around Virginia. The contest may be filed after the recount is completed. After notice of the contest, additional time to file a formal petition, get a response and collect evidence, the process can take weeks or longer. The Committee on Privileges and Elections usually hears the contest, and it would then report its recommendations to the full House. In the event of a tie vote in the House of Delegates on whether to declare a candidate elected or to declare the election void and order a new election, Virginia law directs “a determination by lot” to decide which candidate is seated — that essentially means picking a name out of a hat. If the House finds by a two-thirds vote that the contest was raised in bad faith, the candidate who filed it can be ordered to pay more of the other side’s financial costs.